At the moment, ECPAR has two major complementary tools for reducing GHG emissions. 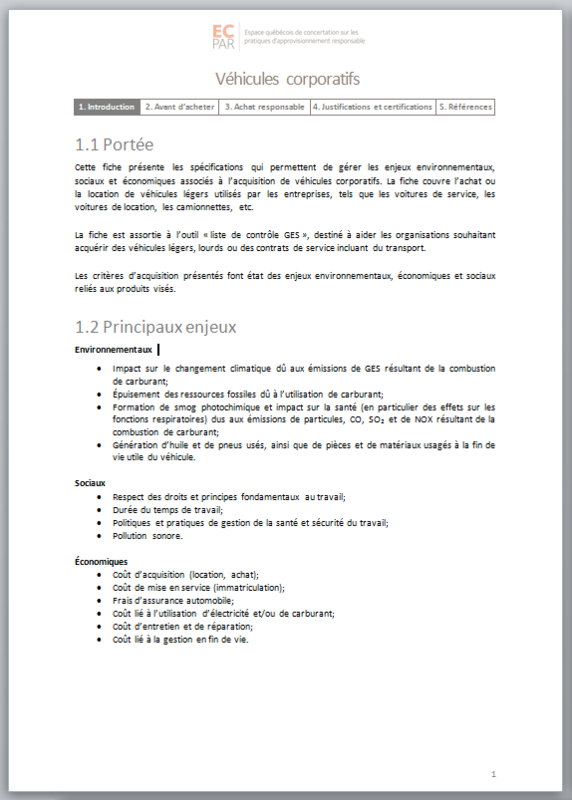 This fact sheet presents the specifications that make it possible to manage the environmental, social and economic issues associated with the acquisition of corporate vehicles. The form covers the purchase or rental of light vehicles used by companies, such as service cars, rental cars, vans, etc. 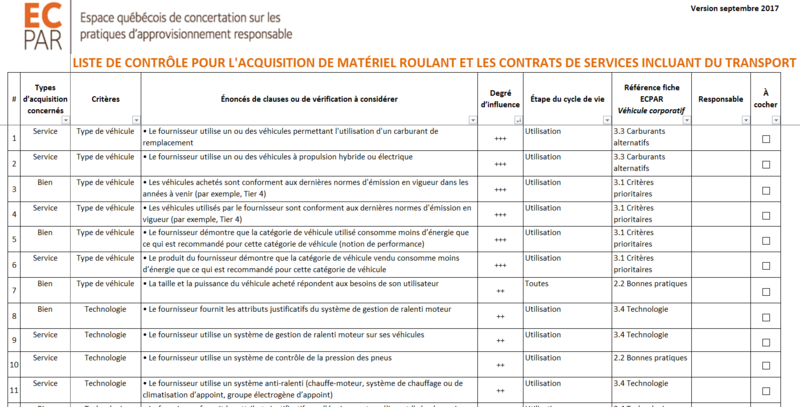 The form goes with the tool "GHG checklist", intended to help organizations wishing to acquire light or heavy vehicles or service contracts including transport. The acquisition criteria presented refer to the environmental, economic and social issues related to the products concerned. This checklist is intended to assist organizations wishing to purchase light or heavy vehicles, heavy machinery or service contracts that include transportation. The tool provides sample statements for experts and claimants at the requirement validation stage to identify the vendor of the good or service. The tool was produced by ECPAR and validated by CIRAIG. The tool is complementary to the ECPAR's responsible purchasing sheet for corporate vehicules.